Interesting work being done with field-ready, portable EEG systems that are being tested as TBI triage units in hospital emergency departments. The software algorithms that drive these EEG systems are becoming so sophisticated that a lightweight, simple EEG test is nearly as accurate as a traditional (and expensive/heavyweight) CT scan for TBI related cognitive impairment. 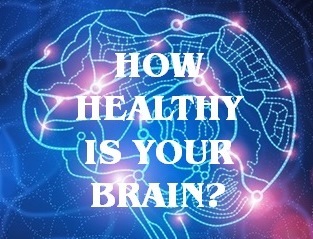 EEG screening, combined with baseline cognitive testing, also holds much promise as a reliable method to monitor and diagnose cognitive health issues in a variety of settings like the doctor’s office, community health centers, and other general health care venues. As I mentioned in a previous post, cognitive testing along with EEG screening may be able to offer a reliable, non-invasive method to catch early signs of mild cognitive impairment, Alzheimer’s, ADHD, and other cognitive problems. Given the rising numbers of MCI, Alzheimer’s, and TBI in the US, having a reliable diagnostic tool appropriate for general use will become increasingly important. BrainScope and NeuroVigil both provide portable EEG systems. NeuroVigil came out of sleep disorder research at UCSD and the Salk Institute, while BrainScope had an initial focus on military applications – mainly blast related TBI.